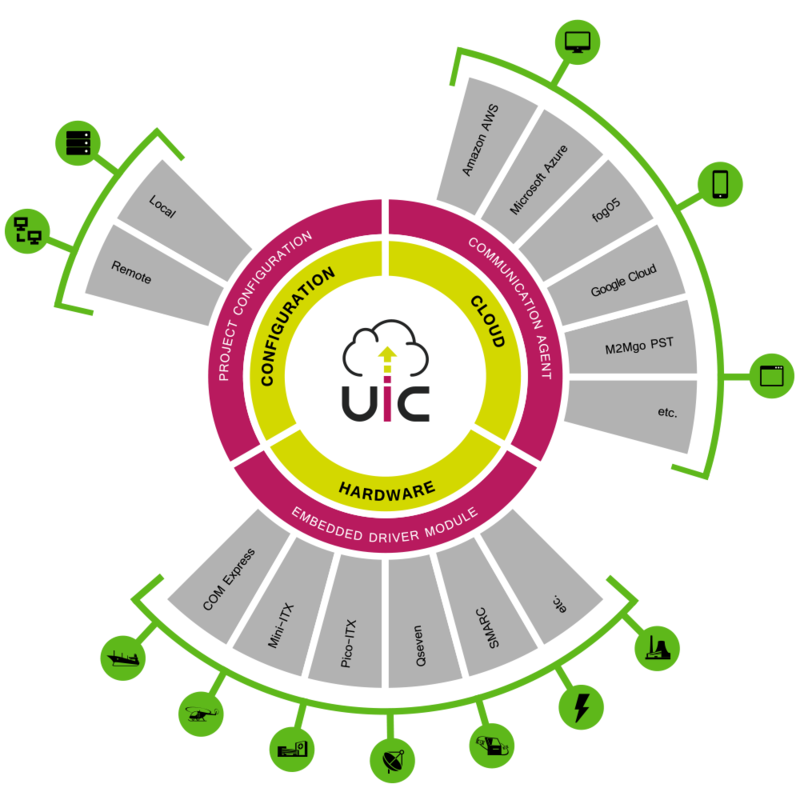 The Universal IoT Connector (UIC) is a software-only standard to enable any embedded hardware to exchange data between embedded devices and a cloud hosted infrastructure using MQTT or XRCE. The default hardware API is built on the eAPI specification widely used on Computer-On-Modules. This solution is based on two main pillars: a UIC Embedded Device Module for hardware identification, security and device mapping and a UIC connector for communication handling with different cloud systems. 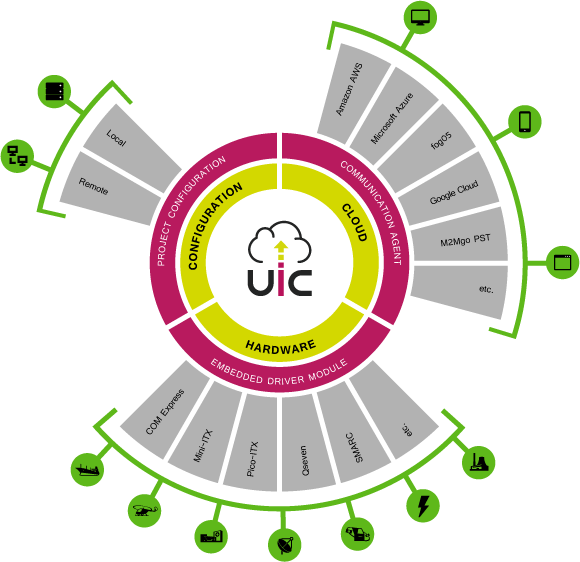 UIC is the glue between embedded devices as well as sensors/actors and any of the 500+ cloud services worldwide. 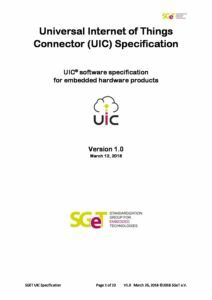 To overcome the obstacle of proprietary implementations for wrapping data coming from sensors, publish it securely to a cloud server infrastructure and visualize it, UIC defines the key parts on the embedded hardware required to provide a generic set of API calls and security standards for a end to end solution. The UIC standard consists of three elements: The hardware module, the application module and the configuration module. They interact with each other and are orchestrated by the UIC core module, the heart of the SGET Universal IoT Connector. Each of the modules can be individually exchanged or replaced to adopt the reall world the the chosen cloud.